Sounding Out was developed as a ‘through-the-gate’ programme for ex-prisoners; a progression route for people who had taken part in our Music in Prisons projects. The programme is designed to support ex-prisoners to get their lives back on track following release, through a combination of live music performances and paid training placements. Sounding Out recruits people we first met through Music in Prisons . Initially, Sounding Out focuses on creating new music as a band in a format familiar to participants from their previous experiences on our projects. 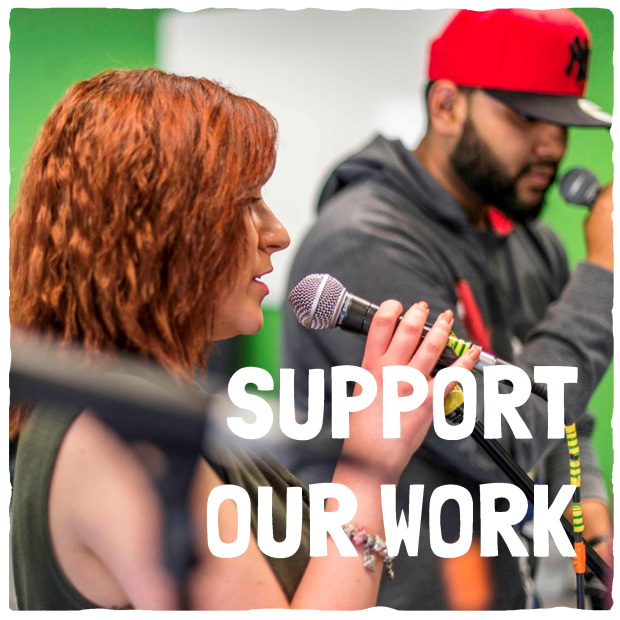 Crucially, however, Sounding Out not only further develops participants’ musical skills, but also supports them to access additional training opportunities and paid work placements as co-facilitators and positive role models on our Making Tracks projects with young people at risk of offending in London. These inter-linking community-based programmes are a new strategic development for us, taking expertise garnered through working in custody over many years out into the community, inspiring and supporting even more people to reach their full potential through music-making. The transition from the prison regime to resettling in the community can be fraught. From difficulties in securing safe accommodation to finding employment, there are many challenges for newly released prisoners. Sounding Out is designed to bridge this gap by offering a positive period of engagement that helps participants overcome barriers, build resilience and take the next steps towards engaging in relevant training and securing employment – providing the tools to begin rebuilding their lives beyond the prison gates. Sounding Out was developed with the aim of deepening the rehabilitative impact of our work in prisons. At the end of our prison projects, many participants express the desire to continue making music. Previously, we have been limited to offering a sign-posting service to opportunities provided by other organisations (which you can find detailed in the Music Out handbook). Sounding Out also allows participants to demonstrate on a very public platform the positivity, talent and creativity locked inside our prisons, challenging the often negative perceptions of people who have spent time in prison. 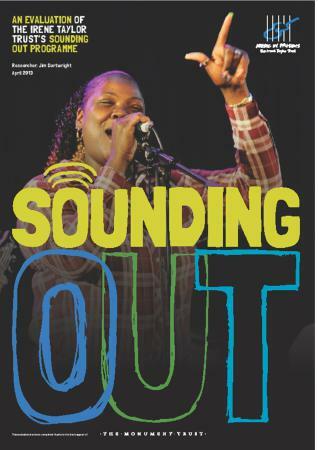 Sounding Out gives participants the opportunity to voice their feelings and experiences and to connect with audiences on a level as fellow human beings. When Sounding Out was still in the planning stages, we brought on board researcher Jim Cartwright to evaluate the first cohort as they formed the band Platform 7, took to the stage for some high-profile public performances, and developed their own facilitation skills on our Making Tracks projects with young people on the fringes of the criminal justice system. 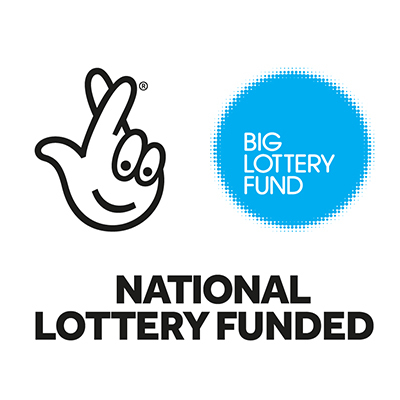 The evaluation found that the programme had an important impact on aiding the resettlement of participants, concluding that for every £1 invested in the programme, there was a social return on investment of £4.85. The evaluation was made possible by kind support of The Monument Trust and is available to read in full here. Fully evaluating the first stage of the Sounding Out programme allowed us to learn greatly and hone the programme accordingly for its next phase, as a rolling programme with a 2-year period of engagement. Since Sounding Out began in 2012 participants have achieved some wonderful things, including performing at the Union Chapel, Southbank Centre, St Marylebone Church and Bush Hall in large-scale performances alongside the Neil Cowley Trio, Police Dog Hogan and Speech Debelle; they have collaborated with contemporary composer Mark-Anthony Turnage, the Phaedra Ensemble and Music Jelly; appeared at conferences and events such as Sharing Good Vibrations, Clinks’ AGM, Koestler Trust’s exhibition launches, for the Hardman Trust in HMP Brixton and spoken/performed on National Prison Radio; they have supported numerous young people through Making Tracks and Young Producers; participants have progressed musically in various ways, including one being made a BBC Performing Arts Fund fellow, another joining the Spitalfields Music trainee music leader scheme, and by continuing to make music together as bands beyond their time on the programme.